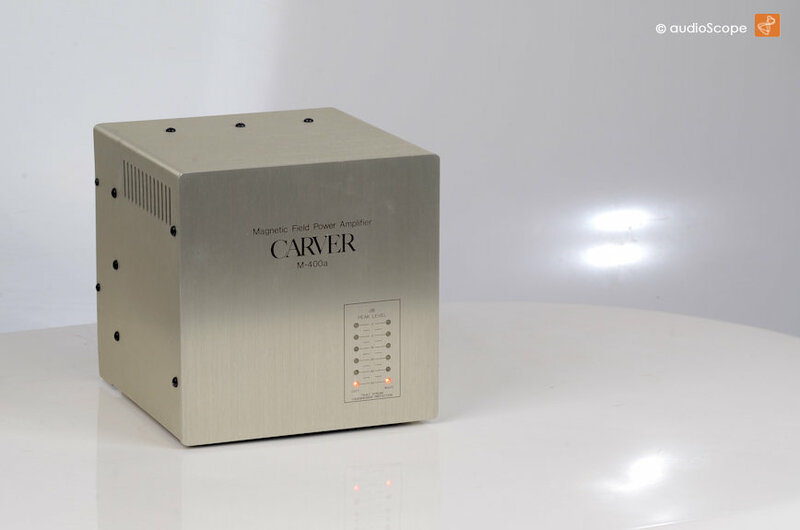 Carver M-400a, silver for sale. 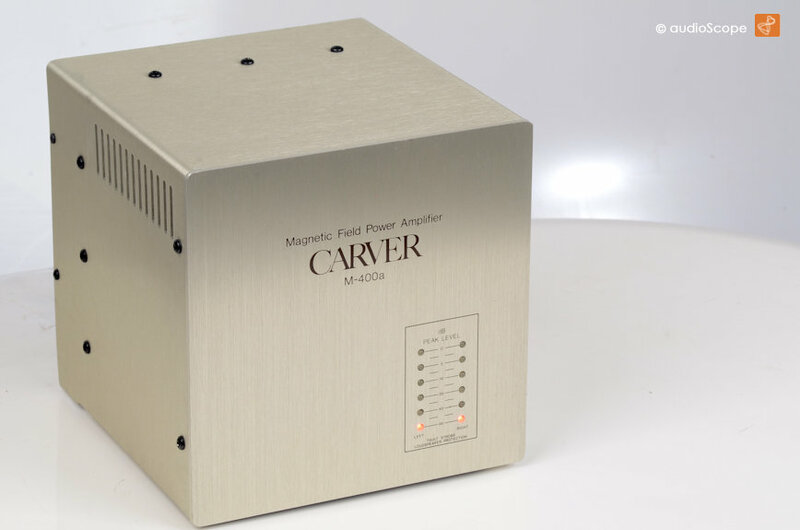 Carver M-400a, silver in original box. 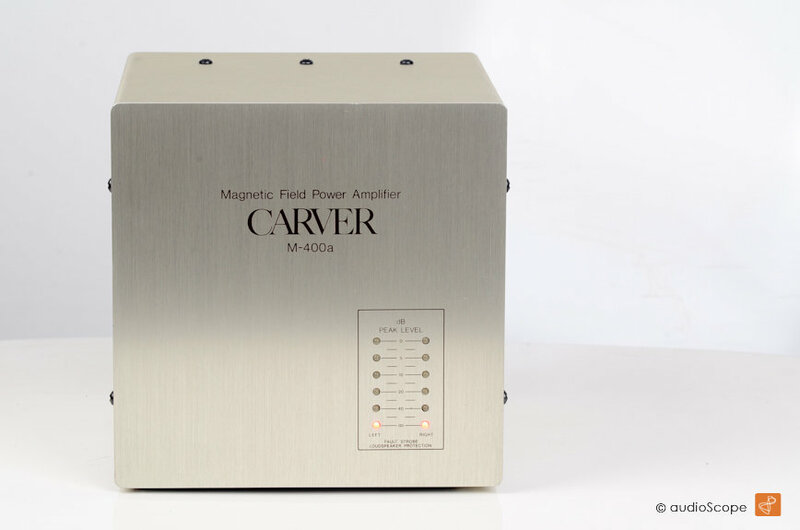 First of Bob Carvers "Magnetic Field" amps. Very well remembered for it´s extraordinary form. 200 + 200 watts into 8 Ohms, more than 500 watts in bridged mono mode. 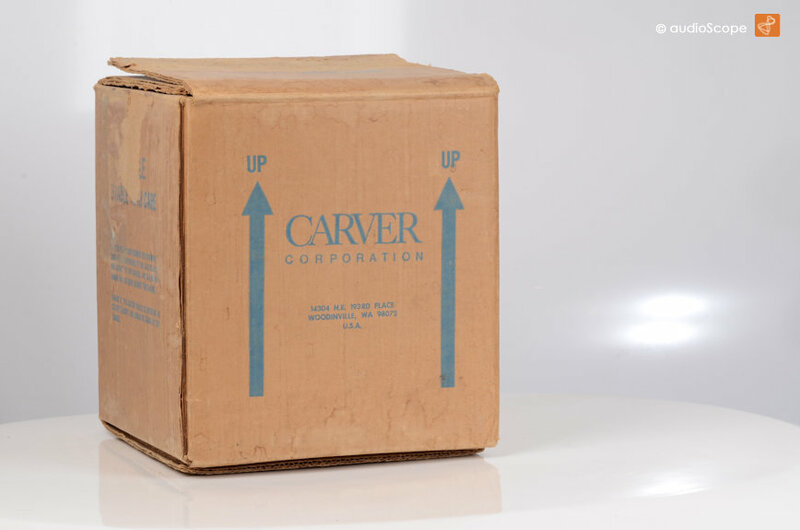 Later versions of Carvers Magnetic Field Apms were more conventionally shaped, but the output power increased. Often, these were found in discotheques and even live concerts. A very powerful amp before class D took over. 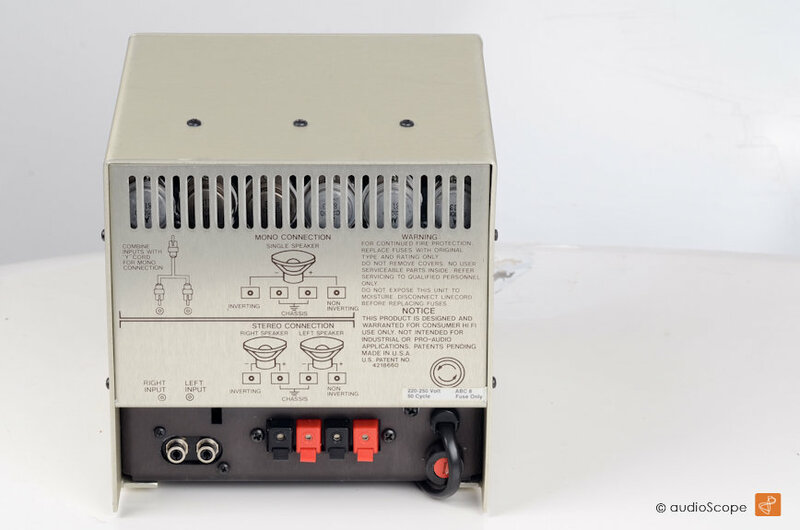 We offer the original Magnetic Field Power Amplifier in restored original condition. It plays very well, no hum nor noise. Extremly dynamic! Very light wear, on the body, but hardly visible. 9 out of 10 is a very good rating. It will be delivered with the original box.